Please join us for our 2019 Mid-Winter Workshop - "Whose Therapy is it anyway? - How the Use of Improve and Props Enhance Therapeutic Approaches". This workshop will provide 6 CE Credit Hours led by Dr. Gaye Vance. Challenge yourself with a deep dive into your creative and fun side! Learn techniques and tools inspired by the art of improv comedy (like on the tv show, "Whose Line is it Anyway?") as translated for use in the therapeutic world. You'll garner engaging new ways to assist clients to explore and process their thoughts and feelings, and to memorably emphasize and reinforce your client's in-session insights. The rationale behind these methods as they relate to our brains will be discussed. You'll exit the workshop recharged and outfitted with fresh resources to invigorate the therapy process for both yourself and your clients. Dr. Gaye Vance is a licensed clinical psychologist and works with adults, adolescents and children. Dr. Vance has over 25 years of experience working with individuals and families. She graduated with honors from Florida Southern College, obtaining a degree in Psychology. Dr. Vance later earned her doctorate at UAB and completed her internship at the Children's Hospital of Michigan. She practiced her early years as a member of a group practice and founded Shelby Psychological Services in Pelham in 1997. Dr. Vance is a frequent speaker for schools and other organizations, as well as having taught at UAB and The University of Phoenix. She is a past president of the Alabama Psychological Association. She was recently awarded the CJ Rosecrans, Ph.D. award by aPA as well as the Karl F. Heiser Presidential award from the American Psychological Association for her advocacy on behalf of the profession of psychology. This workshop is sponsored by the Alabama Psychological Association (aPA). 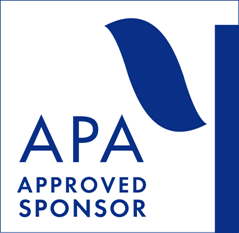 The Alabama Psychological Association is approved by the American Psychological Association to sponsor continuing education for psychologists. The Alabama Psychological Association maintains responsibility for this program and its content. Alabama Psychological Association has been approved by NBCC as an Approved Continuing Education Provider, ACEP No. 6914. Programs that do not qualify for NBCC credit are clearly identified. Alabama Psychological Association is solely responsible for all aspects of the programs.